Adjust oven rack to middle postion and heat oven to 325 degrees. Set wire rack in rimmed baking sheet. Combine beef and ¾ teaspoon salt in bowl; shpae into four ¾ inch thick patties and press shallow divot in center of each. Brush each side of patties with 1 teaspoon mustard and press ½ teaspoon peppercorns onto each side. Melt butter in 12 inch nonstick skillet over high heat. Cook patties until well broened, about 2 minutes per side. Transfer burgers to prepared wire rack and bake until burgers register 125 degrees (for medium rare), about 5 minutes. Tent loosely with aluminum foil and let rest while preparing sauce. Meanwhile, pour off fat from skillet and add broth and wine. Bring to boil over medium high heat and cook, scraping up any browned bits, until thickened, about 4 minutes. Add cream and brandy, return to boil, and cook until reduced to ¼ cup, 3 to 5 minutes. Off heat, whisk in remaining 1 teaspoon mustard. Season with salt and pepper to taste. 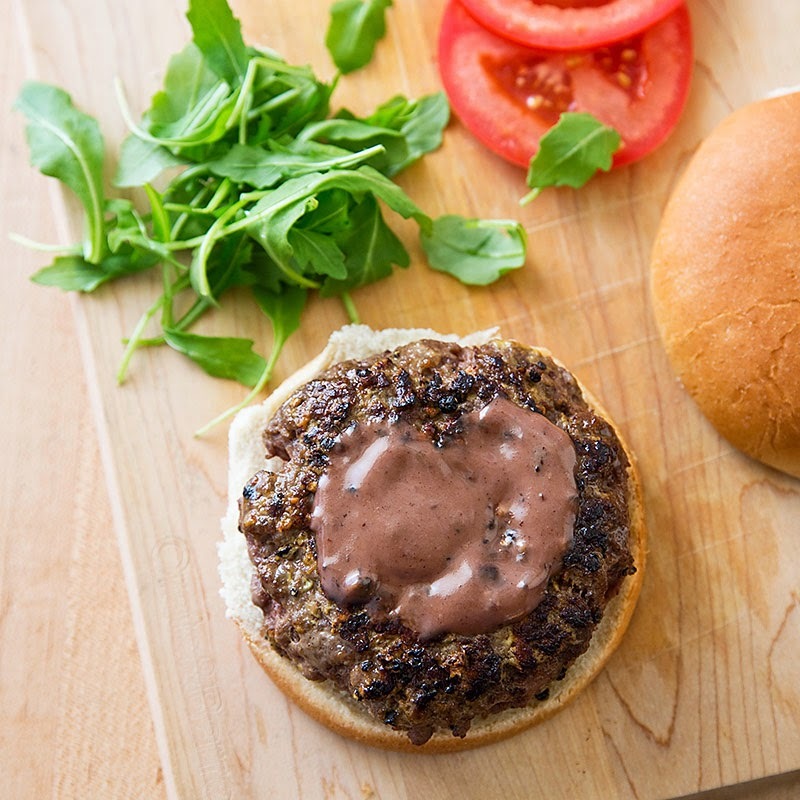 Place burgers on buns and spoon 1 tablespoon sauce over each. Serve.